The path to sustainability is the path to better business. It's about increasing productivity, reducing costs, about product and service innovation and the goodwill of the marketplace. What are waste, power, fuel and water costing your business? 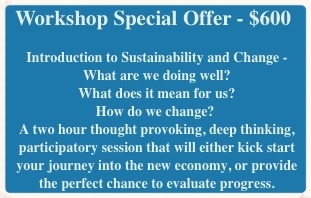 Have you thought through the business enhancing opportunities of the path to sustainability? Have you imagined how your business will operate in a sustainable future? I work with your executive team to create a vision and your green team to work towards that vision. I am an environmental engineer who can help you uncover your costs of waste and pollution - and help you discover the business benefits of the path to sustainability. I am an educator and culture change practitioner who can help you engage and inspire your people. At Bendigo Community Health Services the Green Team reduced the power bill by 11% and 12% at two sites, through behaviour change and small retrofits. At St. John of God Hospital Bendigo the Green Team has implemented energy and waste reduction programs and changed all the lights in the hospital to LED, dropping the hospital power bill by 10%. In 2014 we aim to reduce the hospital's waste by half. The St. Lukes Anglicare Green Team reduced waste and energy across 17 sites, introduced a staff bike fleet, decamped, switched off and rewrote the organisation's environment policy to embed the change. In delivering the Bendigo Business Sustainability Program with in partnership with VECCI, the 15 small businesses involved reduced energy use by 10%, saving money, becoming more efficient and feeling great about what they do. At Meritor PL we helped replace manual weld testing with machine testing, saving $50,000 annually. 1. The Business Mentor Program: a cost positive journey: We guide your business over the long term towards an ecologically sustainable future enabling and inspiring your people and enhancing your business systems, at your pace and cost positive. You choose a low monthly rate. 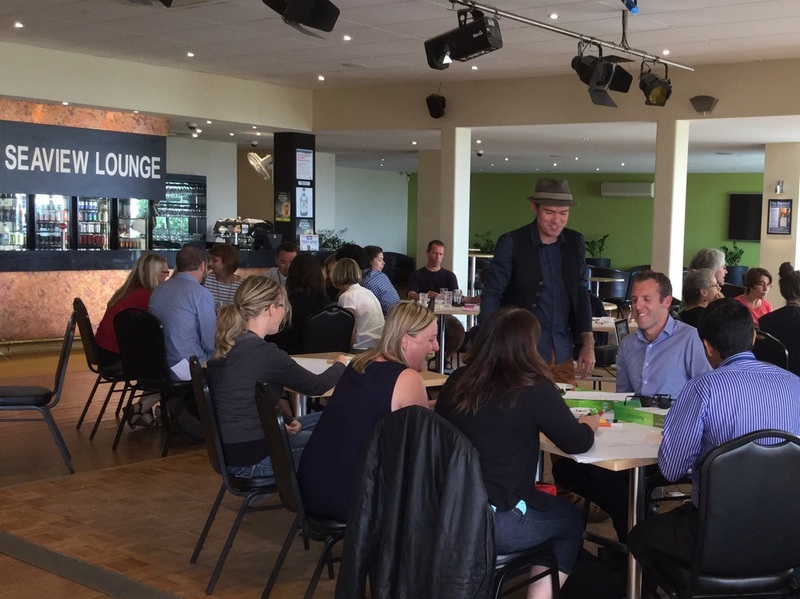 We train your Green Team to drive your organisation into the future. Book an Executive Workshop to enable your leaders to continue to lead into the 21st century and the new economy. Book a Speaker for your AGM or event.